Thijs Kwakernaak is a Dutch artist. “I’m an introvert person and feel like the Neanderthal man who wants to make a sculpture about everything he sees”, Thijs says. This artist creates also little animated films with pieces of stone and others. 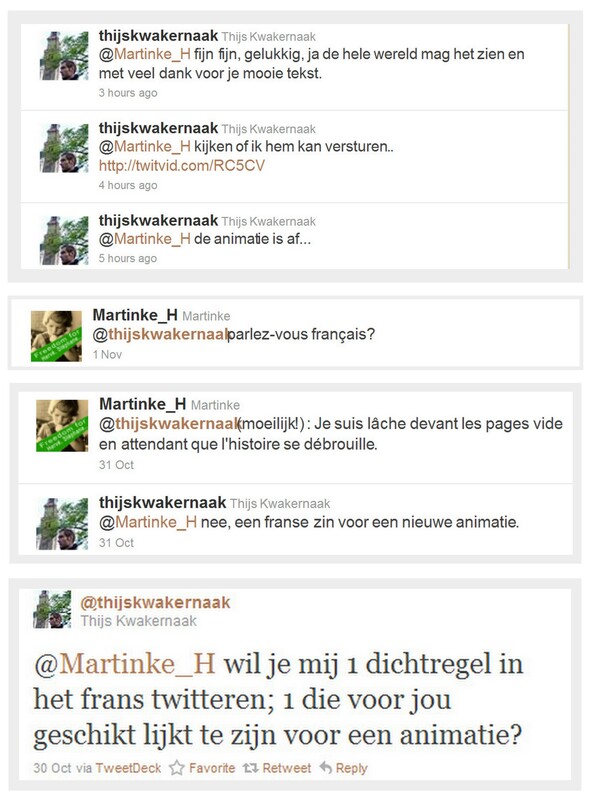 After some sporadic contacts on the social “Twitter” network, Thijs asked me to send him some verse of a French poem. Flattered, I wondered which poem to choose, and which verse. Finely, instead of quoting a famous verse, I sent him the only phrase that came up in my brain. The result is a wonderful poetic animation, I’m very happy and proud to present as the first promising stone, inside my Black Note-Book.